We have just, very reluctantly, returned a RANGE ROVER ‘AUTOBIOGRAPHY’ Long Wheel Base (LWB) model, having driven it in a variety of driving conditions, including a stint off-road, and over 1000 miles of motorway driving, to this year’s CLA game Fair on the Harewood Estate near Leeds in Yorkshire and I can honestly say that this is one of, if not the most impressive car, we have driven since starting ‘The Vintage Magazine’ three years ago. 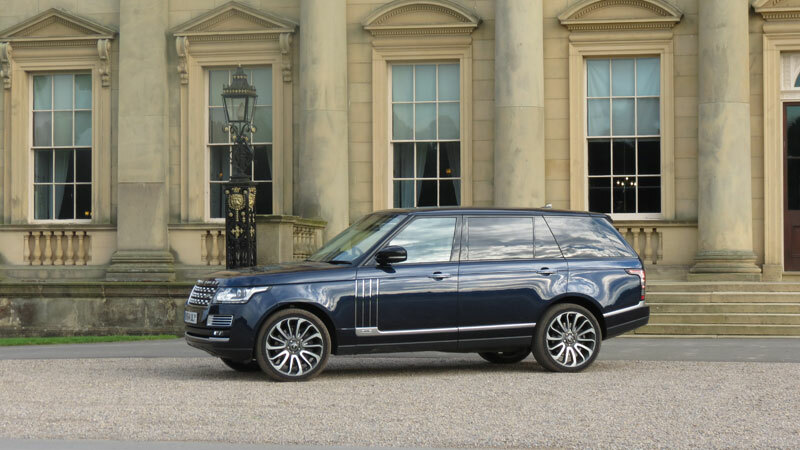 During that period, we have road tested, assessed, and reviewed numerous makes amd models, including Ferrari, Maserati, Aston Martin, Rolls-Royce, Bentley, Mercedes Benz, Audi etc, but few of them have matched this Range Rover ‘Autobiography’ for sheer luxury and performance. This special edition, Long Wheelbase Range Rover is the most luxurious manifestation of the ‘Marque’ yet, and leaves you feeling thoroughly pampered, with its exquisite interior, sliding panoramic roof, and 22” Alloy Diamond Turned Wheels. I have always thought that the Long Wheelbase Range Rover is more elegant and ’balanced’ than the normal version, and it also provides some much-needed extra legroom in the rear seats. There are three engine choices: a diesel-electric hybrid, a V8 turbo diesel and, most desirably, a 542bhp supercharged V8 petrol, but we had the 4.4 litre SD V8 Turbo diesel which went like the proverbial ‘bat out of hell’ without giving any outward appearance of really trying, but still managed an average of 32.5 mpg over the 1500 miles we drove it. This astonishingly sophisticated and luxurious motor car costs £143,000 inc VAT, but add a few extras like rear seat entertainment at £1,600; Pollona Frau Leather Rear Executive seats with extended rear power seat recline, driver and front passenger upper seat articulation, and rear passenger calf rest at £2,500; and Park Assist at £900, and you very quickly find yourself driving a £150,000 Range Rover. All previous levels of luxury have been exceeded by this model, and the rear seats are incredibly comfortable and relaxing (with a ‘massage’ option! ), and it is possible to use the rear of the passenger cabin as a mobile office, or to watch TV or DVDs to make long trips go faster. This also makes it a natural choice for owners with Chauffeurs, as well as the Countryman simply wanting a more comfortable ride, but I would not allow the Chauffeur to have all the fun of driving it. 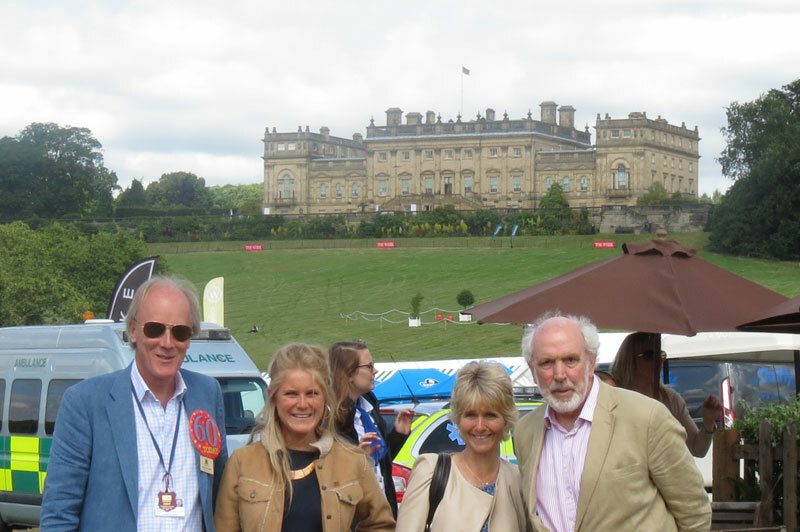 We used it to take us to, and from this year’s CLA Game Fair, which was held in the magnificent Capability Brown parkland, overlooked by the majestic Harewood House, in Yorkshire. We were very lucky because my old PA from my hardback publishing days, married Christopher Ussher, and ex-Gurkha Officer, and now Agent for, and a Trustee the Harewood Estate, and we were honoured to stay in their house on the estate which was made even more enjoyable by the fact that it was also his 60th, Birthday, which we celebrated in some style at their wonderful home. 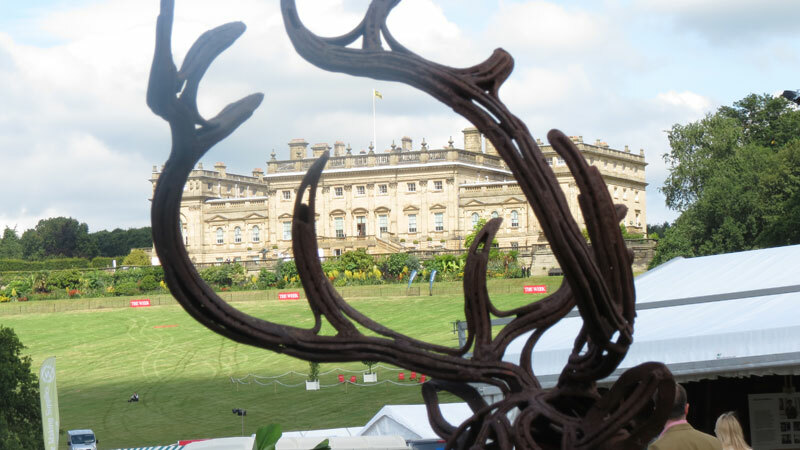 Fortunately, the weather was near perfect, and the Game Fair was very well attended, with 140,000 visitors on the Friday, and a record 148,000 on the Saturday, which, to place it in context, is about the same numbers as Glastonbury attracts, which gives some idea of the increasing popularity of Country Sports such as Hunting, Shooting and Fishing, and all the other country pursuits, pastimes, and traditional country skills. 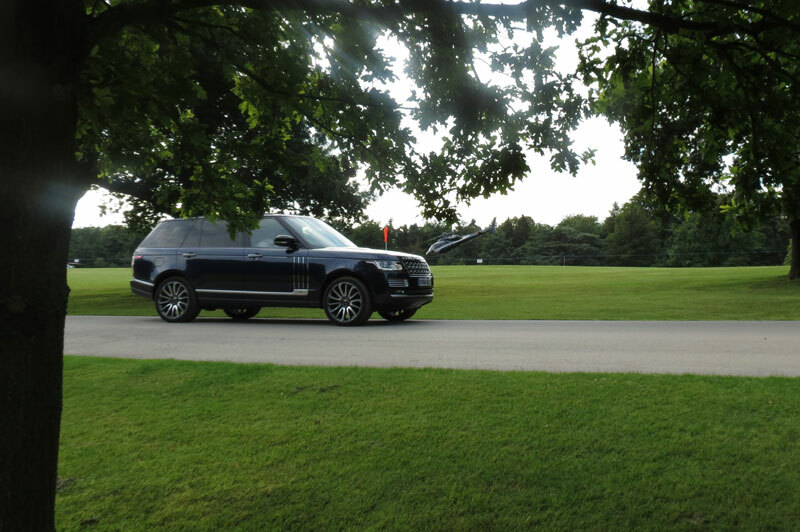 Anyway, the Range Rover ‘Autobiography’ attracted more than its fair share of admiring glances, and numerous enquiries about what it was like to drive, and be a passenger in, and it was also admired by the ‘good and the great’, many of whom attended a Drinks Reception at Harewood House, hosted by The Field magazine. We parked it right outside the front door, by kind permission of Christopher Ussher, so we were able to photograph it in ‘splendid isolation’ in front of Harewood House, as the numerous helicopters were taking-off from the field opposite, and ascending into the evening light. Some people regard the ‘Autobiography’ as a urban Range Rover, but I can assure you that it is as popular in the Shooting field as it is in Knightsbridge, and the extra space in the back just enables greater comfort and enjoyment when being ferried around a large estate, between drives, and at ‘Elevenses’ it would certainly be the most popular car, with its champagne cooler built it to the rear console. 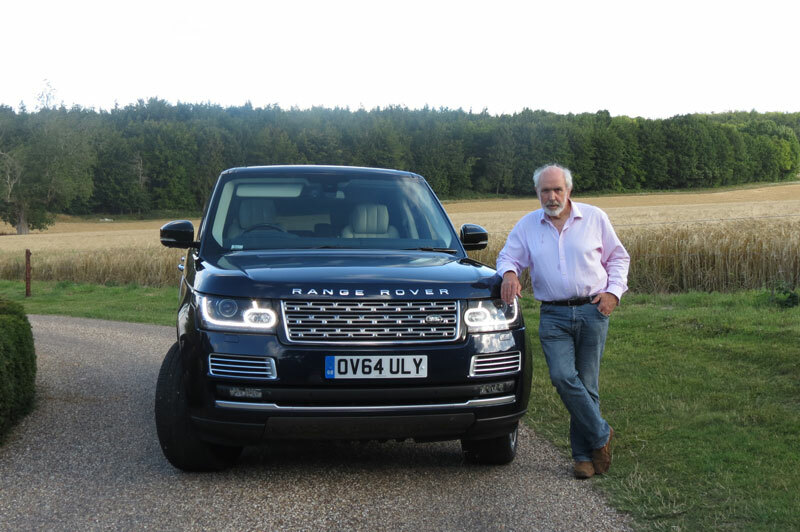 We are now in mourning for our loss of this superlative motor car, and it is quite clear to me that Range Rover have conclusively won the prize for the most luxurious 4×4 transport in Christendom, and, combined with its superior handling and performance, this is the Connoisseur’s luxury Four Wheel Drive of Choice; it is simply the best!